Designed to provide a high level of comfort and exceptional dexterity for a wide range of tasks, the Sealskinz Hi-Vis Ultra Grip Waterproof Gloves are knitted from a blend of nylon and elastane, with a Merino wool, nylon and elastane lining. The Merino wool lining provides warmth, allows the hands to breathe and absorbs and wicks sweat for greater comfort, while a raised chevron pattern on the fingers and palms provides excellent grip in both wet and dry conditions. 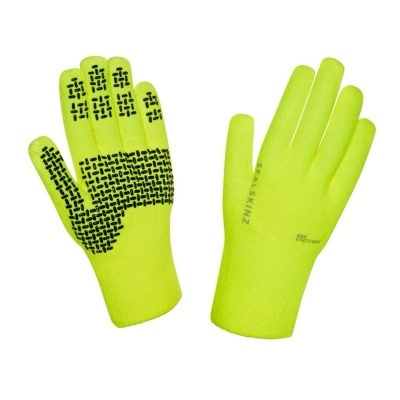 With their fluorescent colour scheme, the Sealskinz Hi-Vis Ultra Grip Gloves provide greater visibility. 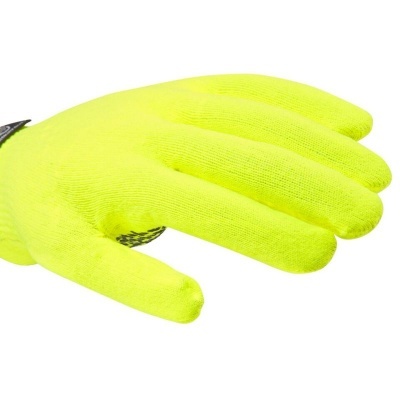 This makes the gloves ideal for work in low-visibility conditions – such as foggy, dark or poorly-lit environments – or those where greater awareness is required. 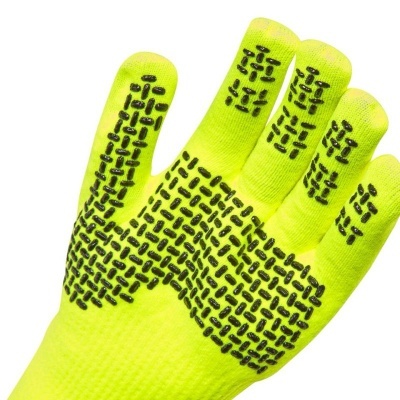 The Sealskinz Ultra Grip Gloves feature Sealskinz StretchDry Techology, which prevents water from permeating the gloves, while still allowing small sweat droplets to pass through the material. This technology makes the Ultra Grip Gloves suitable for even the harshest wet weather.